As I am sure you are well aware, immunization during pregnancy is becoming more common and some vaccines are now recommended for pregnant women. 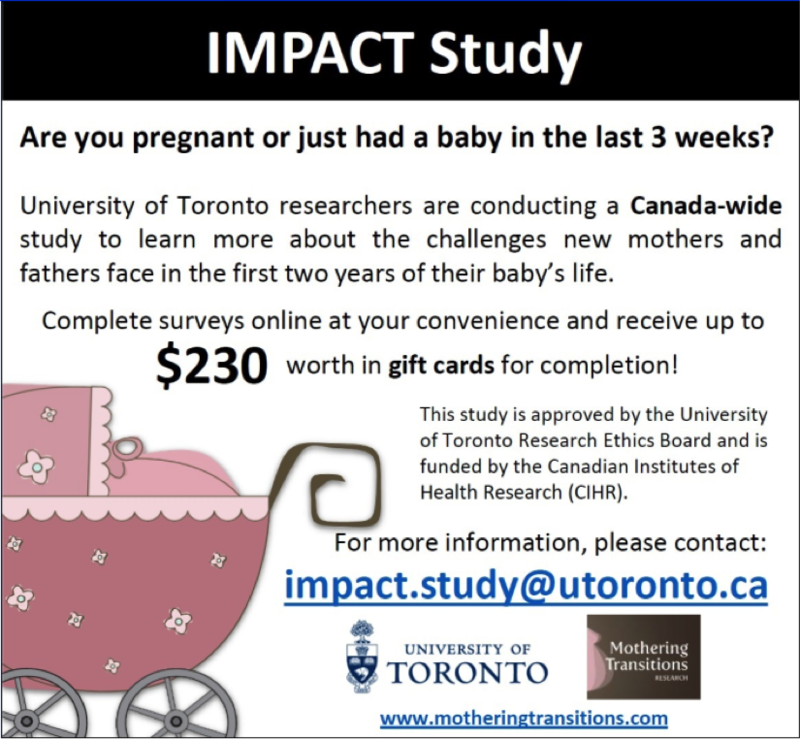 In this context, Dr. Eve Dube is conducting a study to assess the opinions of Canadian maternity healthcare providers regarding vaccination during pregnancy. This study is being conducted by the Canadian Immunization Research Network with funding from the Canadian Institutes of Health Research and the Public Health Agency of Canada. The Ethics Review Board of the CHU de Québec – Université Laval has approved the protocol of this study. It would be great for the Southern Ontario Obstetrical Network to participate in this important project. We encourage you to complete the upcoming survey yourself and share with your colleagues practicing in maternity care (ob-gyn, family physicians, nurses, midwives). The link to complete the survey will be available on our website in early 2017. For more information, please contact Mrs. Dominique Gagnon, research coordinator, at 1-418-666-7000, extension 311, or by email at Dominique.gagnon@inspq.qc.ca.